Bay Area Floors provides the Santa Cruz and Monterey Bay areas with distinctive flooring and exceptional customer care. With over 35 years of experience, Bay Area Floors offers a premier level of service and the very best in quality flooring products. From initial design ideas through installation and after care, Bay Area Floors gives you the quality you need at affordable prices. Bay Area Floors has a wide selection of products and a knowledgeable friendly staff to help you make the best choices for your home or business. 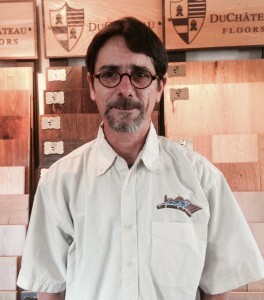 David Montanari has been in the flooring business for over 15 years. He started out doing Carpet/ Vinyl & Laminate Flooring installation. In 2000 he became an installation manager, where he over saw complete jobs in carpet, laminate and vinyl. He later proved to have more of a hunger for the project managing aspect of the flooring service trade when he joined the ranks of a full sales staff, successfully contracting substantial flooring projects for the company. After two years of that he decided to join forces with Frank Vickner at Bay area Floors where they’ve successfully taken the Santa Cruz County by storm as the best in the area in both commercial and residential flooring. Roland Orr has been working in the flooring industry for over 25 years. He was hired in the mid 80’s as a journey level carpet and vinyl installer learning the hardwood and hard surface trades along the way. After about 15 years as an installer he moved into the front office working as job coordinator running the crews and learning the sales aspect of the flooring trade while increasing his knowledge of the industry in general. 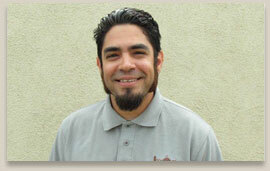 Now we are proud to have him as our warehouse manager as well as one of our project managers. 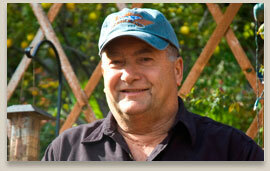 Robert Hodge started out in the flooring industry over 25 years ago doing carpet installation. After a few years installing, he successfully moved into the project management side of the business. He has worked with every kind of flooring we offer and can help assist with selections that are in-line with the priorities of his customers. Robert will provide great customer service, and help you through every step of the way with all the knowledge and the skills he has acquired over the last 25 years he has been in the flooring industry. 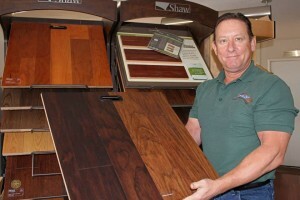 Robin has been in the flooring industry since the early 80’s. While raising a family, she worked part time as an in house product specialist, helping clients choose the best floor for their environment, lifestyle and budget. 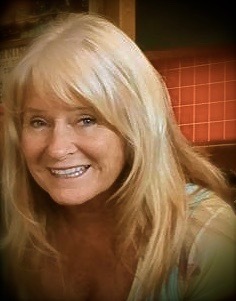 In 1999 she moved in to a full time sales/estimator and project manager position. Her background in flooring includes residential as well as commercial applications. Robin’s primary goals are customer care along with quality service and products! Contact us today to learn more about our free in-home estimate service.